IP? Virtualization? LAN/WAN convergence? 4K? SMPTE 2110? Never has the broadcast industry seen so many fundamental technology transformations taking place at the same time. As well as being highly disruptive, these technologies have the potential to radically transform the workflow and the economics of production for the better – But how do you get it right? The “The IP revolution: seize it, lead it, live it” pre-NAB event, organized by Nevion (Hard Rock Café in Vegas 3771 S Las Vegas Blvd #120) brings together broadcasters, service providers and industry experts who will share practical tips on how to manage the transformation to new technologies – all this in a relaxed and informal setting. 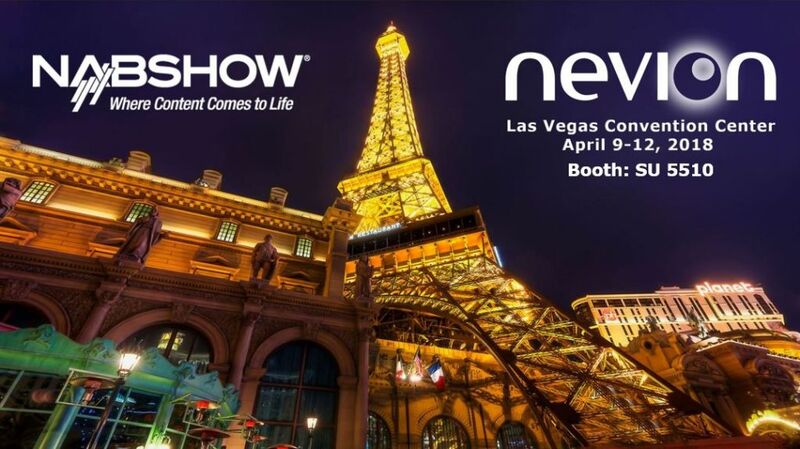 Meet Nevion (South Upper Hall SU5510) and find out from the experts how you can leverage technology to connect and share resources better to broadcast better. Following on from the success of last year’s NAB, we’re excited to be showcasing our continued technological developments at this year’s NAB. We want to tell you our latest achievements using IP in broadcasting and meet with the people in Nevion who actually have real, practical experience of large scale deployments. Use the Guest Pass Code: LV3325, which will also provide you an extra discount on selected conferences. To claim your free pass, register on-line here.